We designed and prototyped a mobile-enabled loan repayment service to help Jordanian bank customers repay their microloans. 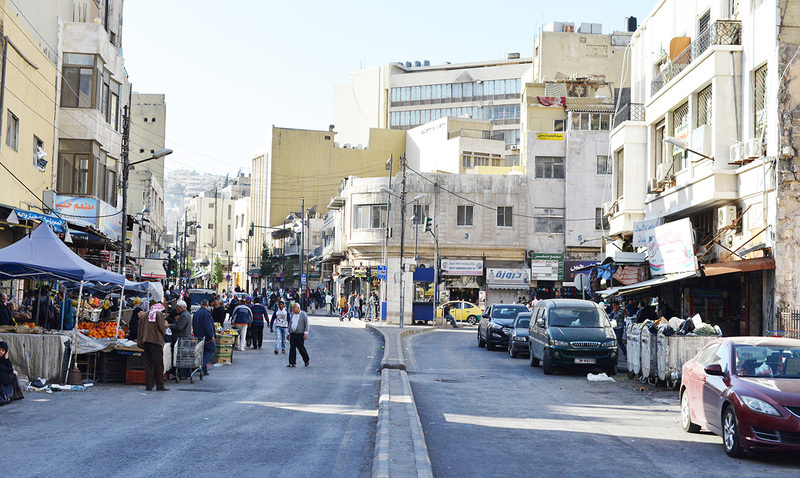 With 65,000 clients, 30 branches, and 350 employees, the National Microfinance Bank (NMB) is the third-largest micro-financial institution in Jordan. The bank dispenses microloans—typically between $100 and $5,000—to credit-poor customers that the average commercial bank would overlook to help them open small businesses, pay for school tuition and education expenses, improve their homes, and more. NMB recognized that the act of repayment was one of most difficult parts of the loan experience. Customers would spend a significant amount of time and money—particularly if they lived in a rural area far from a bank branch—simply arranging for travel to the branch to make their monthly repayment. Some, unable to arrange or afford transportation to branches, would give their loan payment amount to a friend or relative traveling to town with the expectation that they would repay the loan on their behalf (a somewhat risky behavior). NMB, in partnership with USAID, contacted Continuum to help them redesign the loan repayment experience in Jordan. Jordan is a cash-based society, and there is a pervasive mistrust of all forms of money besides cash. (Uber operates in Jordan, but the country is one of the few places in the world where the service accepts cash payments.) Our team audited local mobile payment apps and found that most shops didn’t accept electronic payments. In addition, we could find neither store owners nor customers who knew of mobile money services or how they worked. A significant challenge was building trust and credibility around mobile money, and the idea of using one’s phone to both store and send cash. To solve this, we used an artifact closely associated with the idea of cash in Jordan: the “hasalah,” or piggybank. We designed and prototyped a mobile loan repayment experience, which offers a “middle-step” solution: By being mobile-enabled, but also relying upon an exchange of actual cash, it blends digital and physical to offer an improved experience to Jordanians repaying their microloans. The app overcomes two significant challenges faced by consumers: distance and discipline. Letting people repay their loans at local merchants’ shops solves the challenge of distance by saving customers the inconvenience of traveling to the bank. Allowing customers to repay in small amounts over the course of the month (rather than in one lump sum) offers them a way to save money towards their loan repayment gradually by transferring their funds into an online piggybank (the “e-hasalah”) visible on their phones. 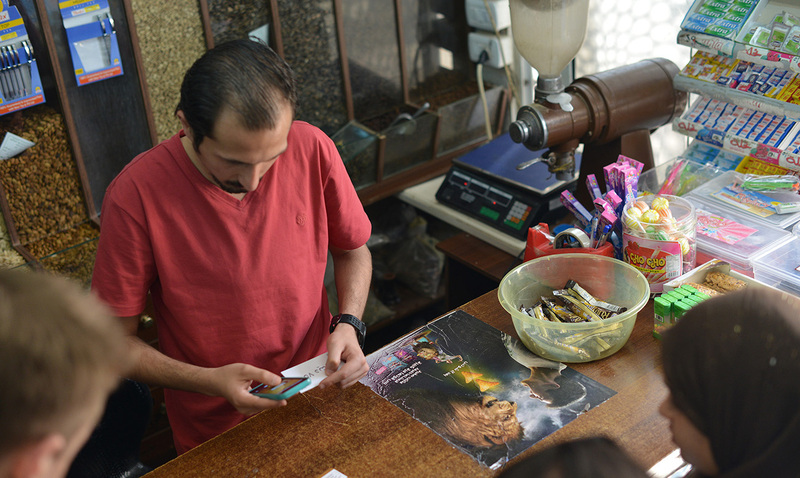 Unlike other mobile money and digital banking solutions in Jordan, customers can also see information about their microloan at a glance (such as the number of successful repayments and the number of remaining payments) with simple printed receipts. 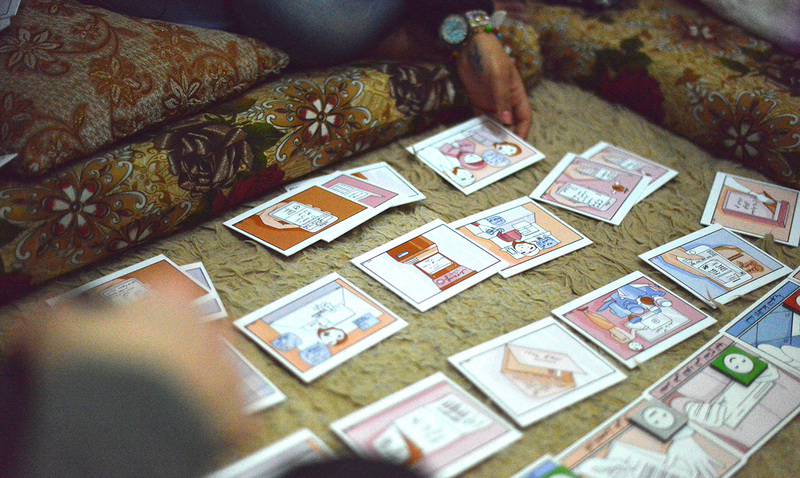 Our team delivered a working app prototype, which has been tested with merchants in Jordan. The intuitive app meets customer requirements successfully, thanks to testing in the field and quick iteration. Our team’s ability to create a meaningful concept based on customer inputs in a short amount of time can also be credited to our creation of a “pop-up” studio in Jordan. We set up a temporary design studio in our Airbnb in historic Amman, where we were able to analyze our research findings and design and refine concepts in-country between rounds of testing them with real customers.